April 10, 2018 - Ohio regulators have issued a permit to the state's largest surface coal miner, Oxford Mining, for the company's Shugert North surface mine in Belmont County, a state official said Monday. 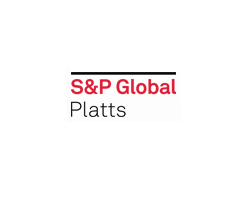 Brent Heavilin, permitting manager for the Ohio Division of Mineral Resources Management, told S&P Global Platts in an interview the permit was issued earlier this month. Oxford officials "said they're going to go in there and start mining on it," he added. "It's adjacent to their other permits." The Shugert North permit, totaling 1,563 acres, was the first coal mining permit issued in 2018 by the agency. The application was filed almost a year ago. Oxford officials could not be reached for comment Monday, and it is unclear how much coal will be produced at Shugert North. 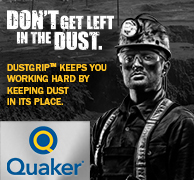 Oxford's Ohio mines each produce less than 500,000 st of high-sulfur thermal coal annually. 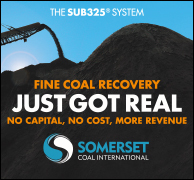 Oxford's parent company, Colorado-based Westmoreland Coal, said in a regulatory filing last week it is considering a bankruptcy filing. If that happens, the future of Oxford would appear to be uncertain. Oxford usually produces about 4 million st annually for the US utility market. Meanwhile, Heavilin's issuance of a permit to Oxford for its more controversial Johnson Run surface mine in Athens County has been delayed because the agency has not yet received a formal response to unspecified permit application revisions it asked the company to make. The Johnson Run permit is for roughly 300 acres. Environmentalists have questioned Johnson Run's potential impact on several waterways in the area, including Sunday Creek. B&N Coal, a small coal producer based in Dexter City, Ohio, recently submitted an application to extend the operation of its West Fork surface mine, the first such mining application in 2018, Heavilin said.